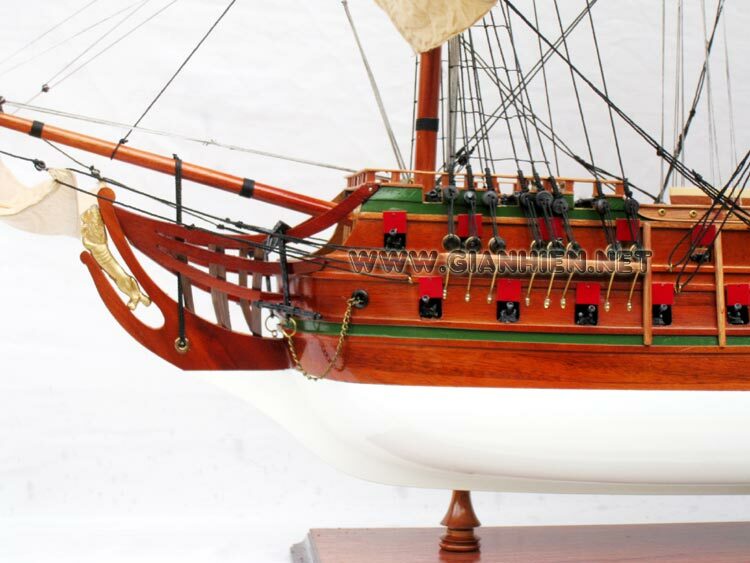 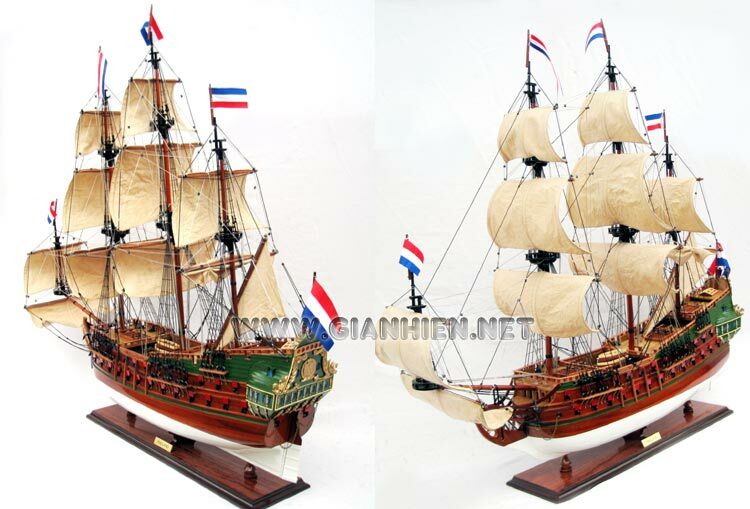 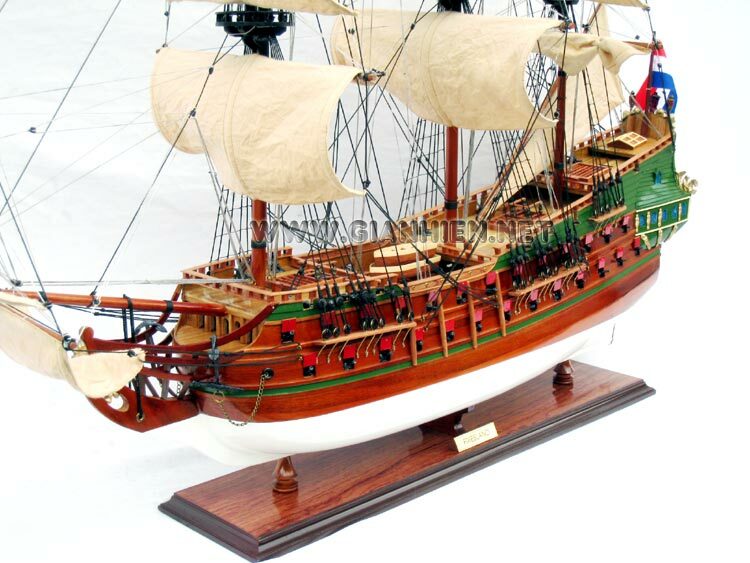 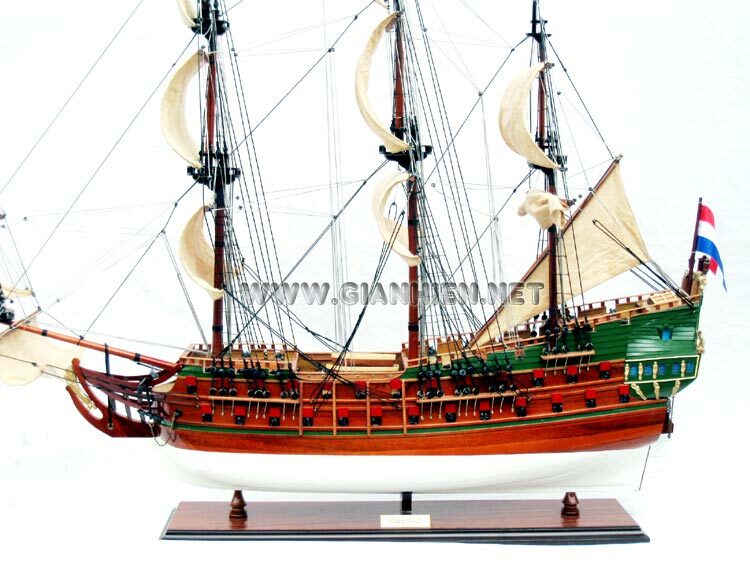 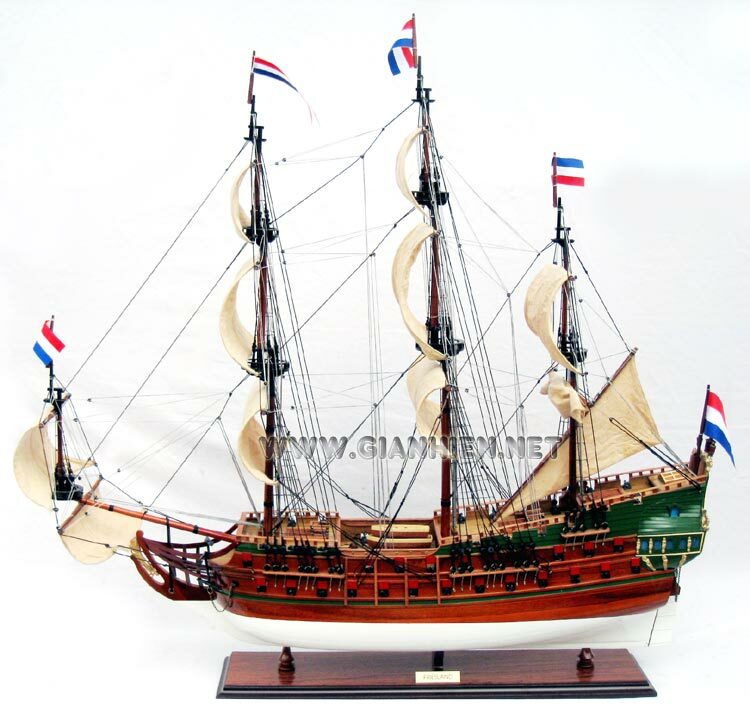 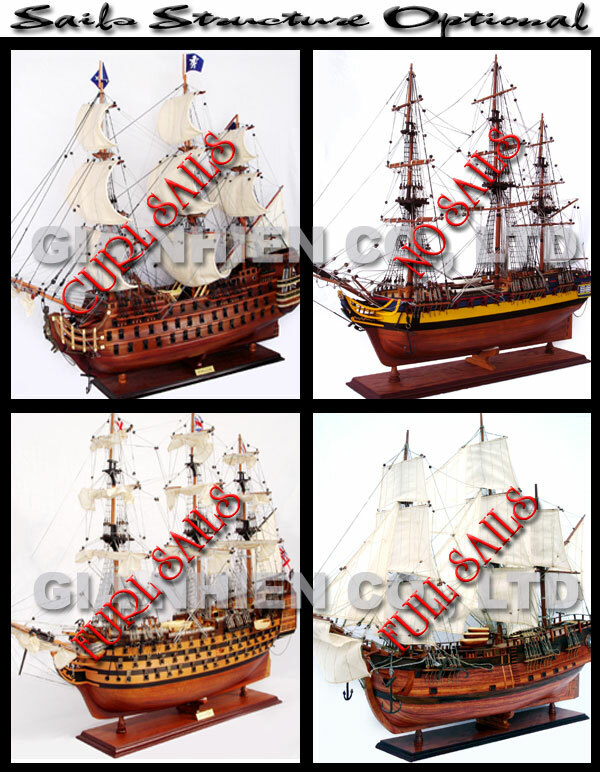 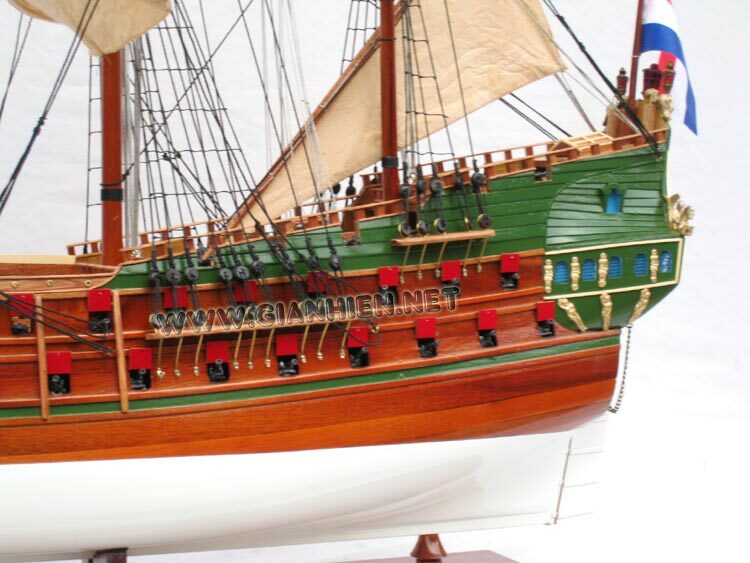 Second rank vessel with 80 guns built around 1663, part of the great 1700 units fleet of the United Province of Holland. 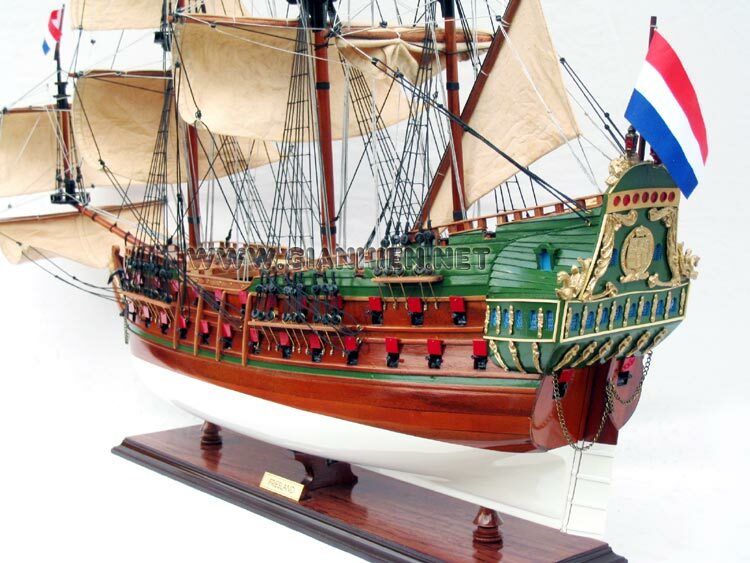 In 1672, it took part, sided by 77 vessels, under De Ruyter's Command, on board of the admiral-ship "ZEVEN-PROVINCIEN" in the battle of Solebay with the allied Anglo-French forces. 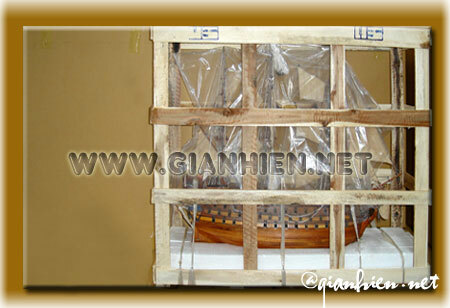 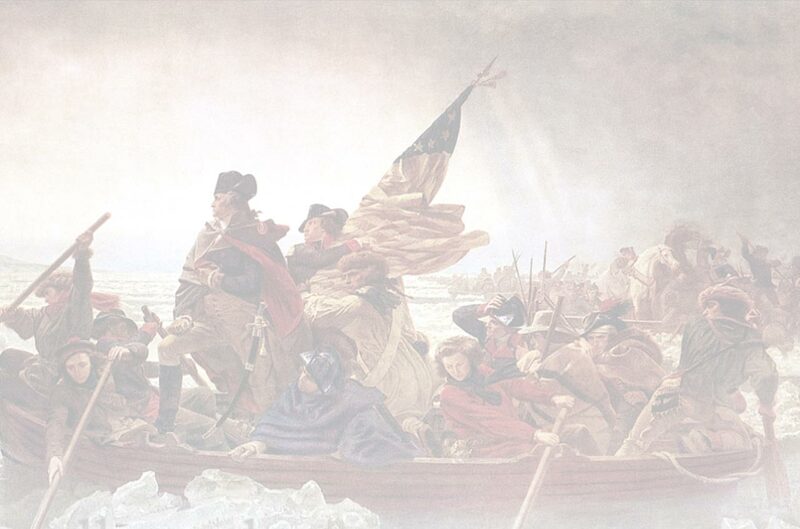 The reconstruction has been carried out on the ground of a reliable Dutch documentation.